Archimedes is a great musical which is sure to be appreciated by your whole school community, but your students will benefit even more from participating in the cross-curricular activities that relate to Archimedes’ life. Archimedes (the man) invented the compound pulley, the screw (a type of water pump), determined the mathematical principles under which levers and pulleys operate, and built many machines. He is considered to be in the top three mathematicians of all time. He determined that Pi (or π) was between the values of 3 10/71 and 3 10/70 (or 3 1/7). Our familiar 22/7 is, of course, 3 1/7. 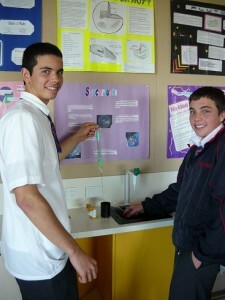 The Word documents below were all used by Cheltenham Secondary College students in Science and Maths classes. The students enjoyed them, learned a lot from them, and, for what it’s worth, were being constantly reminded that the school was putting on a great musical! Many of them kept asking their teachers whether the goldsmith did steal the gold or not, but our answer was simple: “you’ll have to come and see the show”. Explores and explains how pulleys work and how they enable us to lift heavy loads. In the opening scene of the musical, Archimedes uses a compound pulley to haul a ship over land, which immediately establishes him as a genius. 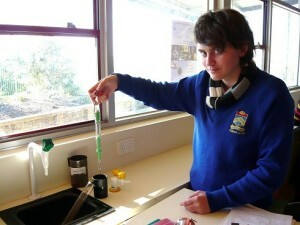 These series of pracs introduce students to the concepts of density and buoyancy. The goldsmith was given a precisely measured mass of gold to make the crown. When the crown was returned, it had the same mass as the gold he was originally given. However, he was suspected of having replaced some of the gold with silver. By completing these pracs, students at your school will learn all about how Archimedes determined the purity of the crown’s gold and his discovery of what we now call, in his honour, the Archimedes Principle. Archimedes and the Golden Crown: Practical Activities Exploring Density, Buoyancy etc. Though not really a big part of the musical, levers are briefly mentioned. 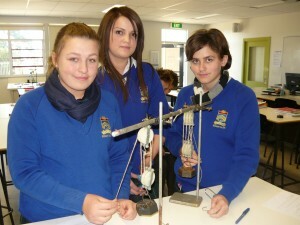 This prac explores the science and maths of levers. These three activities get students to calculate π. 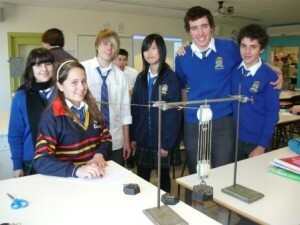 The first two are practical activities and are suited to junior classes. The third ideally suits Year 10 or Year 11. 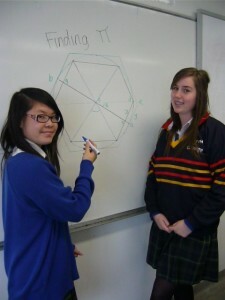 Students calculate π trigonometrically by using circles inscribed and circumscribed with polygons to derive a formula in much the same way as Archimedes did 2,300 years ago (though he used geometry, not trig). We now know that Pi = 3.14159 26535 89793… and the numbers go on and on forever without repeating. So how can we remember the decimal numbers. This fun little activity gets students to write their own Pi mnemonics. For example, the sentence “Now I have a great invention to pacify large and small horsemen” is a Pi mnemonic. If you count the number of letters in each word, and place a decimal point after the first word, you get 3.14159265358; Pi to 11 decimal places! If you’re a Science Teacher, don’t forget to visit Liacos Educational Media for more great resources.